MEXICO CITY, Apr 22 2015 (IPS) - Laura Romero has piped water in her home for only a few hours a day, and at least once a week she is cut off completely. Like the rest of the residents in her neighbourhood in the north of the Mexican capital, she has to store water in containers like drums or jerrycans. “When there is no water, they send out water trucks. 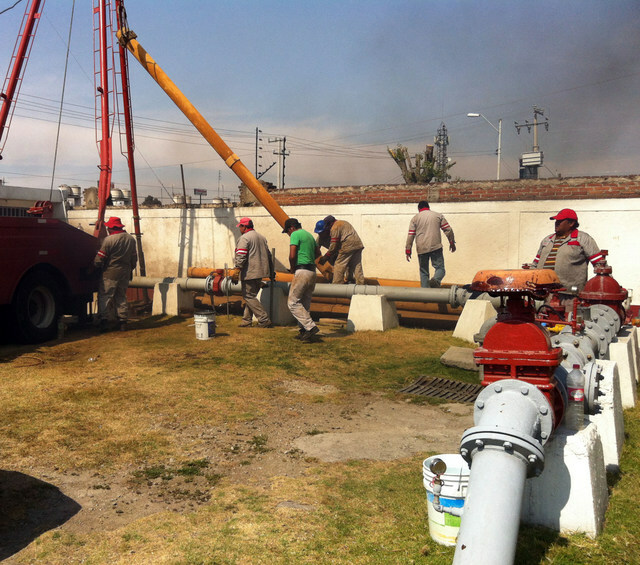 We insist they should mend the leaks in the infrastructure, but they tell us they have to draw up preliminary specifications” in order to calculate costs, Romero, a member of the Frente de Organizaciones Sociales en Defensa de Azcapotzalco (Front of Social Organisations in Defence of Azcapotzalco), complained to IPS. The Front manages public funds to build low-cost social housing on preferential terms in Azcapotzalco, a middle-class neighbourhood. In December a batch of these houses was completed, but the Mexico City government’s water authorities refused to connect the water supply, and the Front fears the same will happen with another of their construction projects. “The government says that each person must pay 8,000 pesos (about 350 dollars) to be connected (to the water supply),” Romero said. In contrast, there are at least six shopping malls and one entertainment centre in the area that have a permanent water supply. Issues related to availability, quality, pollution, monopoly and overuse are putting water resources under pressure in this Latin American country of 118 million people. World Water Day was celebrated Sunday Mar. 22, with the theme for this year being Water and Sustainable Development. In Mexico water assets are regarded as a national public resource, supervised by the National Water Commission (CONAGUA) and administered by the central government, state and municipal governments, which are empowered to grant distribution and management concessions, including handing over water resources to the industrial and agricultural sectors. A constitutional reform in 2012 defined water as a human right, but there has been no improvement in the water situation in the country as a result of this change. “Many bodies of water are polluted, and many communities have problems with water supply,” said Omar Arellano, coordinator of the Ecotoxicology group, part of the Union of Scientists Committed to Society’s (UCCS) Social and Environmental Observatory Programme. Arellano, an academic at the Biomedical Research Institute at the National Autonomous University of Mexico (UNAM), told IPS that “in recent years a number of river diversion schemes have put local settlements at risk and altered water cycles.” These schemes, he said, were one of the causes of the problems. Arellano is one of the authors of the 2012 study “La contaminación en la cuenca del río Santiago y la salud pública en la región” (Pollution in the Santiago river basin and public health in the region), which found that 280 companies dump toxic effluents into the river. They reported that this river in the western state of Jalisco is contaminated with 1,090 hazardous pollutants and poses a health and environmental risk for some 700,000 people living along its banks. The situation in this river basin is just one example of what is happening in other parts of Mexico. The National Water Resources Plan for 2014-2018 indicates that average natural water availability per capita in Mexico fell from 18,035 cubic metres a year in 1950 to 3,982 cubic metres in 2013. In spite of this reduction, water availability is not the main problem. United Nations guidelines state that countries with less than 1,000 cubic metres per capita per year suffer from water scarcity, and those with between 1,000 and 1,700 cubic metres per person face water stress. In absolute terms, Mexico has an average annual water availability of 471 billion cubic metres, according to CONAGUA’s Water Atlas 2013, including surface and underground water as well as water imported from the United States under bilateral treaties. However, nearly 14 million people have no water in their homes. The problem is greatest in the states of Veracruz (southeast), Guerrero (southwest), and Mexico state (centre) adjacent to the nation’s capital. Moreover, 34 million people depend for their water on aquifers that are gradually drying out. The National Water Resources Plan recognises that ethnic minorities and women, especially in rural and peri-urban areas, suffer the most from lack of drinking water and sanitation. Mexico was supposed to amend its 1992 General Water Law, to bring it into line with the 2012 constitutional reform, by February 2013, but this has not yet happened. Meanwhile, water disputes among users, communities, organisations, the government and private interests have been exacerbated by the presentation of two contradictory bills. On Feb. 9 a coalition of social organisations and academics presented a citizens’ proposal for a new General Water Law that would guarantee water for human consumption and economic activities, systematic recycling, local management at the river basin level and the creation of a special fund. Earlier, in March 2014, CONAGUA sent a bill to Congress but the text raised massive negative reactions and was removed from the parliamentary agenda on Mar. 9, 2015. 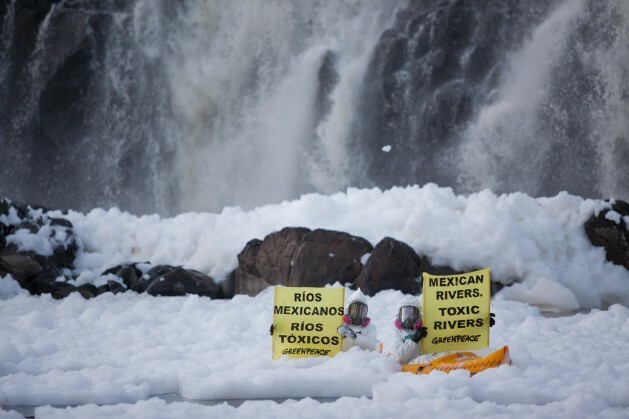 The organisations and academics blocked the CONAGUA bill because they viewed it as a water privatisation measure that commodifies the resource, bans research into water quality and levels of pollution, and favours diversion of the flow of rivers and the construction of dams and other works. “The risk is that inequality will increase. We need comprehensive management of water resources,” said Arellano. De facto privatisation of water services has continued to advance slowly in Mexico in a number of different ways. In the city of Saltillo, north of Mexico City, and in Aguascalientes in the centre of the country, water management is in private hands. In the Mexican capital itself, four private concessions have been granted for metering water consumption and collecting water rates. Breweries, dairy producers, water bottling plants, makers of soft drinks, mining companies and even investment funds have obtained water concessions, according to studies by several academic authors. Agua para Tod@s, Agua para la Vida (Water for All, Water for Life) is a network made up of more than 400 researchers and 30 NGOs that has created a map of water conflicts sparked by deforestation, overuse, pollution and other causes. In 2013 the volume of water handed over in concession for use in agriculture and industry surpassed 82 billion cubic metres, 51 billion of which came from surface sources and 31 billion from aquifers. “There is a lack of transparency about which companies have benefited from privatisation. There is no need to wait 20 years to see its effects,” Campero said. Mexico is highly vulnerable to climate change, which is causing temperature fluctuations, drought, anomalous rainfall and variations in river flow. It is predicted that by 2030, availability of surface and underground water in the country will be affected. By 2030 – in 15 years’ time – demand is forecast to increase to over 91 billion cubic metres while supply will only reach 68 billion cubic metres, a gap between supply and demand for which innovative solutions have still not been envisaged. “We want water; it is not fair that the state should deny us access to it,” complained Romero in the Azcapotzalco neighbourhood of Mexico City.